Welcome to the autumn edition, of what is now becoming a monthly roundup of what I consider to be some of the best SEO and internet marketing article. Without much ado, here are some of the most exciting and informative articles I came across during the month of October 2016. 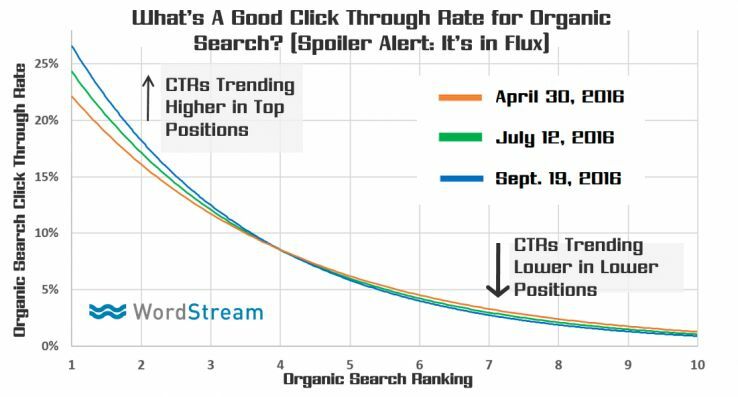 “SEO Trek: The Search for Google RankBrain* [New Data]” by Lary Kim on Moz blog. For RankBrain one of the most important ranking factor is user engagement. This Google algorithm adds more value to the pages with higher user engagement. Google says their main mission is to give the best result to people using their platform to search. So, if more people click on result number 5 (for example) and spend more time there it means that this page needs to be ranked higher. “Instagram Stories get viewed by one-third of its 300-million-large daily audience, ignored by rest” by Tim Peterson on Marketing Land. Every day more than 100 million people view Instagram stories, but another 200 million from their daily audience do not do that. 1) Instagram is owned by Facebook, which has a direct line to 1.13 billion people every day. 2) Instagram alone has a direct line to 300 million people every day. 3) Instagram has been able to get people to watch more and more videos in its app despite remaining a not-great place to watch videos. 4) 100 million viewers. Daily. In two months. “What’s a Verified Twitter Account and How do I Get One?” by Megan Wilson on Sure Payroll blog. You will have noticed a small blue mark, which all trusted Twitter accounts have. This helps to understand which account is genuine, especially for high profile people such as Kim Kardashian or Theresa May. Explain why your account should be verified. “Google: Penguin 4.0 Now Completely Rolled Out” by Barry Schwartz on SERoundTable. It has been officially confirmed by Google that Penguin 4.0 is now completely rolled out. Garry Illyes has this to say about it on Twitter. Sites that were affected by Penguin 2.0-3.0 can now see some improvements in their rankings. Site owners that have not seen any ranking improvements probably have some work to do improving their website. “Ann Smarty on How to Do Keyword Research” by Ann Smarty on kayakonlinemarketing. Finding right keywords for a page is a crucial and it is quite easy to do. However, many online marketing professional still make the mistake of now doing adequate keyword research. The quality of content means a lot to search engines. It is not enough to just add as many targeted keywords as possible to a page. This article shows you how to blend your targeted keywords into you page content. “Top Facebook Groups To Join” by Kevin Viper on his own blog. Facebook groups are very important for content marketing. If you can reach the right audience, your content marketing will work much better. Read Kevin’s blog to find all the important groups. “How to successfully rank a video on YouTube. (Case study)” by David James on BDGM. Using proven optimization tips, you can easily rank YouTube videos very highly. The author of the post give good tips on how to rank YouTube video in organic search results. “Want to Increase Website Traffic? Follow This Guide…” by Ali Haider on Blogrex. There are a lot of good posts on how to increase website traffic, here is another one. Each section has real examples and pictures so you can easily do it for your site too. “6 Unconventional Ways to Come Up with Blog Post Ideas” by Jimmy Daly on Inbound.org. Thank you for reading. Please leave a comment below or contact me throughthis form or via my Twitter account. Your feedback is most welcomed.